Greens MP David Shoebridge will be touring Spring Gully, Royal National Park, Bundeena this Saturday 12 October 2013. David will be declaring Spring Gully an Environmental Planning “Hazzard*” Site. Entrance to the Coast Track, Royal National Park (eastern end of Beachcomber Ave) Bundeena. Scouts Australia NSW recently sold their 5.6Ha bushland property, nested into the Royal National Park, to a developer who is planning to build an “eco-tourism” resort. 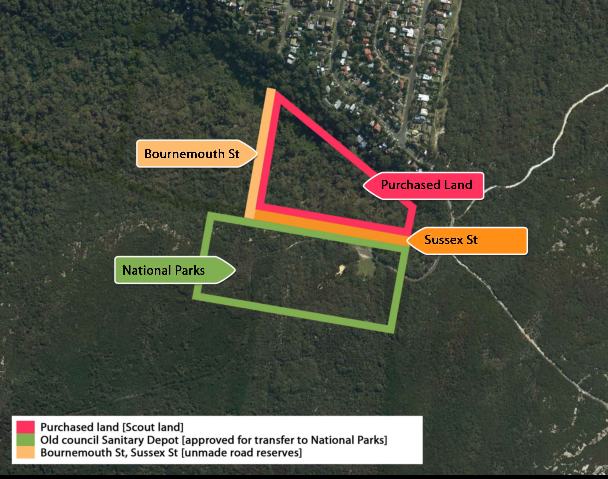 The developer has applied to council to purchase additional public land, the unmade “Sussex St” bushland that adjoins the Scout land property and the Royal National Park. Sutherland Shire Council has proposed round-table stakeholder talks between the developer, NPWS and the local community. Local residents and supporters of the Royal National Park are up in arms over the prospect of public bushland earmarked for conservation being transferred to a private developer. They are also alarmed over the developer’s stated intention of clearing the ridgeline as a fire break and to locate buildings in the ridgeline clearing. Not only would this create a large scar in the bushland adjacent to the iconic coast track, it would involve removal of a unique and scientifically significant bloodwood mallee – an important feeding ground for native gliders. The bloodwood mallee is highlighted in the book “First National Park – A natural for world heritage” by Dr Geoff Mosley. It is one of the unique features that highlights the importance of conserving the natural heritage and habitat of the Royal National Park and which makes it worthy of world heritage listing. 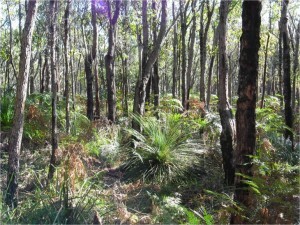 Other features found at Spring Gully, also highlighted in the book, are quaternary period cliff top sand dunes and upland swamps. In fact several of the main scientific justifications for the proposed world heritage listing of the Royal are contained in and around the land now under threat of development. Spring Gully, Bundeena is a treasure trove of significant and endangered biological communities including freshwater wetland, swamp sclerophyll forest, Kurnell Dune Forest, Bangalay forest and Sydney sandstone gully forest. It’s riparian lands are an important wildlife corridor. The gully contains several streams and waterfall that run down gullies and ravines into the wetland and comprises a large part of the flood prone Bundeena Creek catchment area. Spring Gully is bushfire prone. Development of a tourist resort within the steep sloping gully could require hectares of deforestation of the old growth forest under the Rural Fire Service building code for bushfire prone land. RFS rules only allow a 15% tree canopy within an asset protection zone – less tree canopy than the suburb of Redfern! 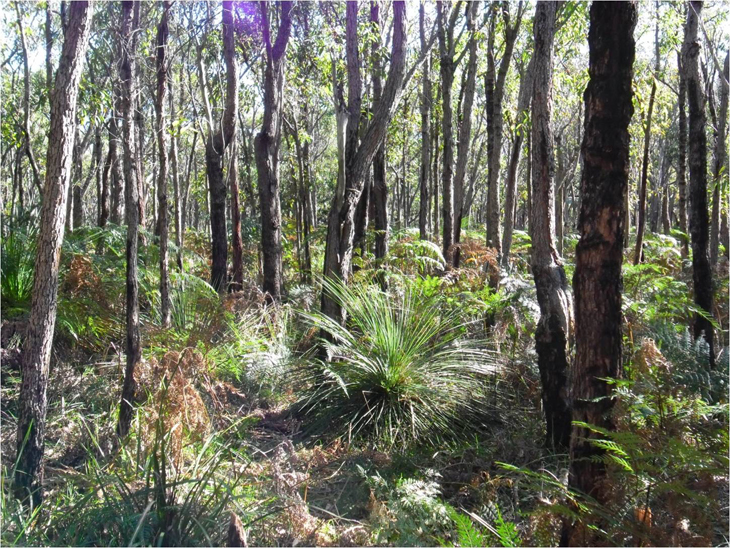 1-2:30pm Bush walk, Spring Gully, Bundeena:The walk will travel along the paperbark swamp, through the Bangalay forest and groves of cabbage tree palm and through the bloodwood mallee forest. Interested media should phone Mark Da Silva to arrange to meet for the bushwalk. Note – this is a bush-bash. No tracks. 2:30pm Media Opportunity:Resident Rally to declare Spring Gully a “Hazzard Zone”. 3:30pm Town Meeting. Presentation on impacts on communities of the proposed planning law reforms by David Shoebridge MP. The Gunyah Room. Bundeena RSL. 71 Loftus St.